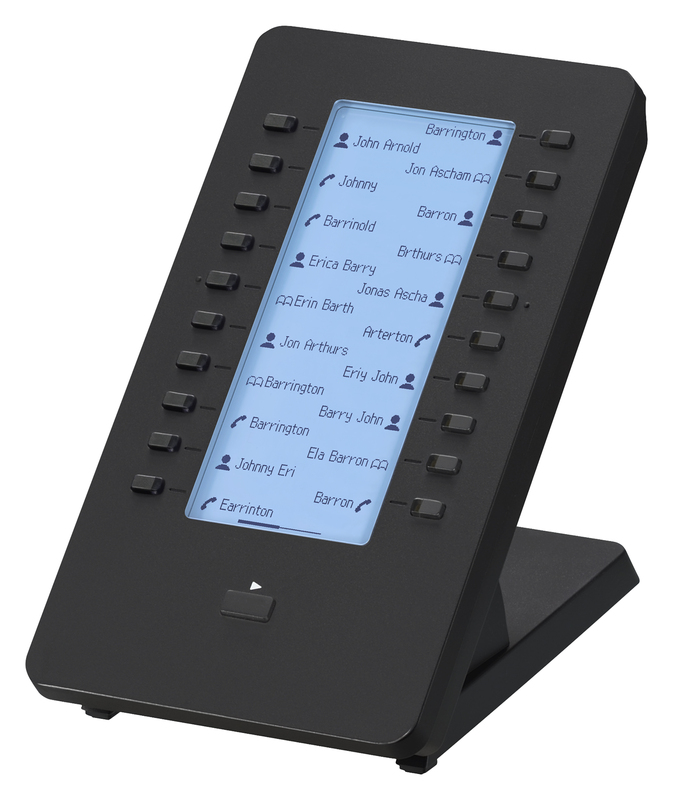 communication through a colour LCD touchscreen and remote visual monitoring when linked to an IP camera. 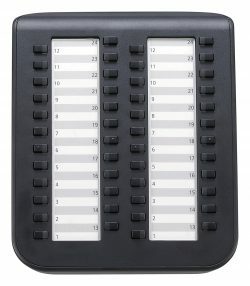 With built-in Bluetooth®, HD SONIC sound and the ability to connect up to 16 SIP lines, the KXHDV430 offers world-leading flexible communication, suitable for use in both office and home environments. 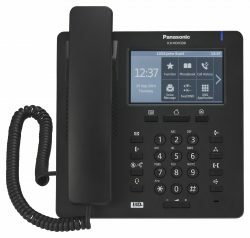 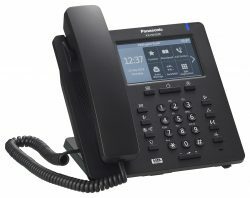 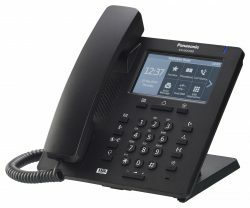 For worry-free operation, feature-rich interfaces and high performance, count on Panasonic for SIP phones that let you get more done, faster and easier, with a compelling ROI. 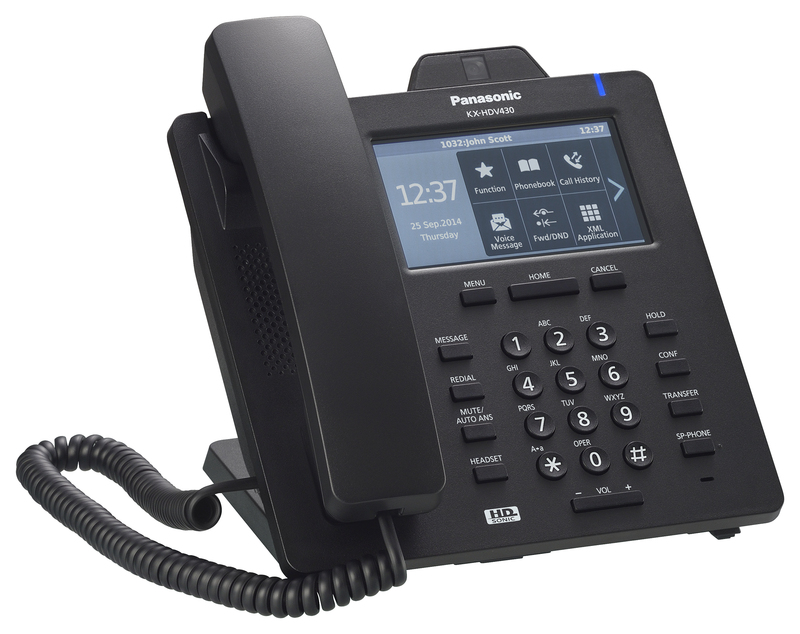 You’ll also benefit from our long-standing collaborative relationships with our service providers — delivering seamless inter operability across the network. Maximum performance delivered via a gigabit connection. 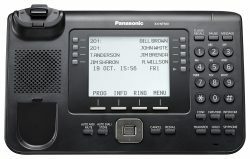 Large 4.4 LCD display & Integrated Bluetooth. 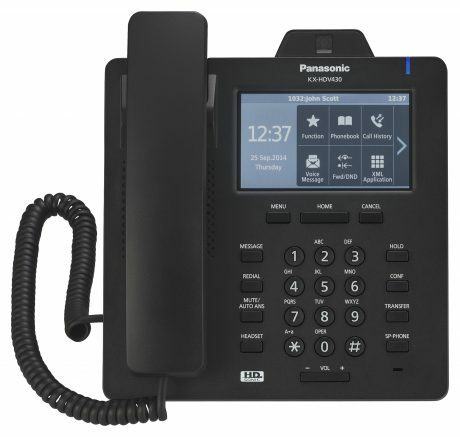 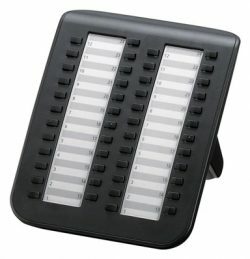 Compatible with the DT546 and DT543 handset.